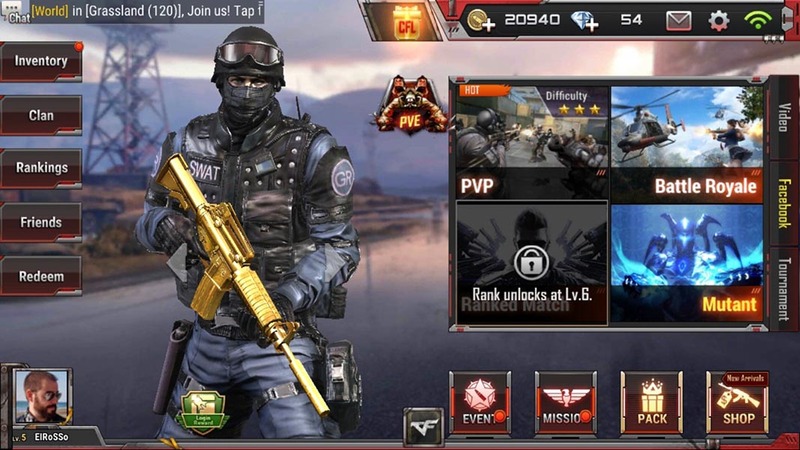 Crossfire: Legends for Android offers endless game modes, from the original PvP to a Battle Royale mode for up to 120 players. Users outside of Asia may not be too familiar with the videogame Crossfire, but that doesn’t come close to reflecting the complete success of this PC game that, until recently, was the most profitable Free-to-Play game in the world. In fact, this game has been so successful that Tencent released the international adaptation for smartphones at the beginning of this year. 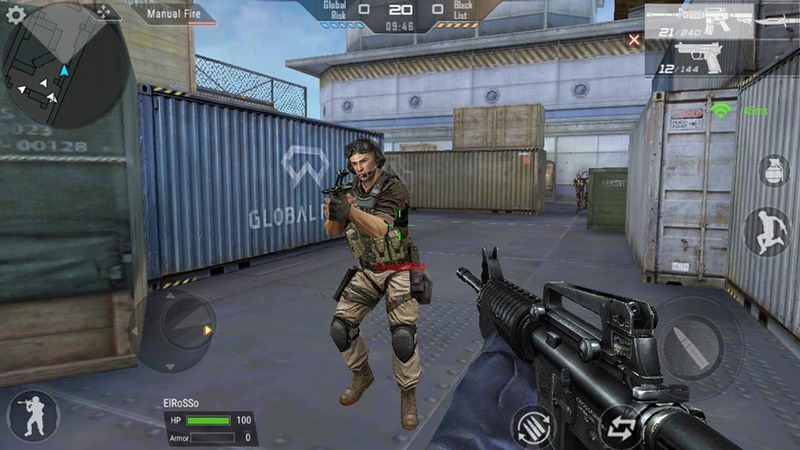 The FPS CrossFire: Legends brings us the classic PvP mode of the original game and adds new game modes like the inevitable Battle Royale and a one-player horde mode. And as if that weren’t enough, the game can be played offline and is even able to be played on less powerful devices. 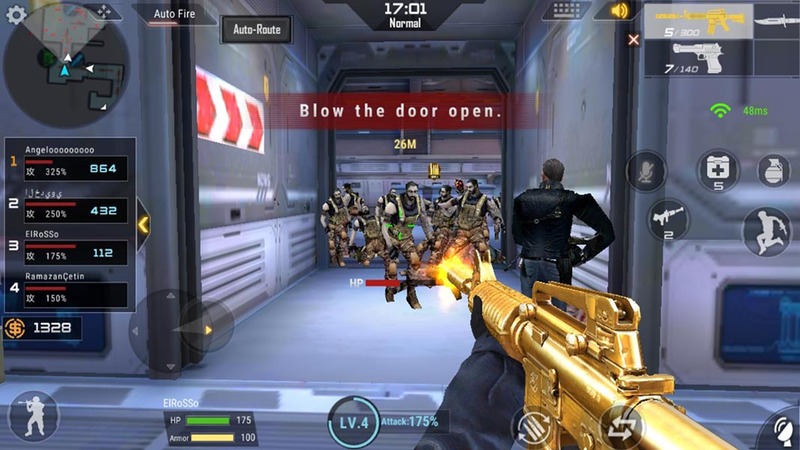 Until 2014, the original PC version of Crossfire was the top-earning F2P in the world with more than $900 million earned from micropayments. In fact, it’s currently in third place on top of other benchmarks like Fortnite and PUBG, and is only surpassed by League of Legends and the ridiculously popular Dungeon Fighter Online, according to the reliable reporting from SuperData. The excessive success of this South Korean game created by the studio Smilegate, has the giant Tencent Games running the show. This powerhouse has skillfully promoted the game in Asian countries like Korea, China, and the Philippines, where it’s a total institution. Sure enough, it was only a matter of time before the game would be released for mobile devices. It’s interesting that a game that’s, in essence, yet another clone of Counter-Strike can still manage to be so wildly successful. The explanation for this success, beyond the marketing efforts of the distributor, is the fact that it simplifies the concept and offers an enormous range of possibilities available to any user. And best of all, you can play without having to pay a dime, at least at first. Team DeathMatch (TDM): eight settings where you have to defeat a certain number of enemies from the rival team with endless respawn. Demolition: One team has to place a C4 bomb and make it explode; the other has to try to stop it. Bot Modes: Its possible to play in both TDM and Demolition mode without needing an Internet connection, making use of bots, with the bonus of being able to choose between various difficulty modes. In addition to these, there are other rotating modes with special rules that are added and removed from the game periodically to give the game some variety. 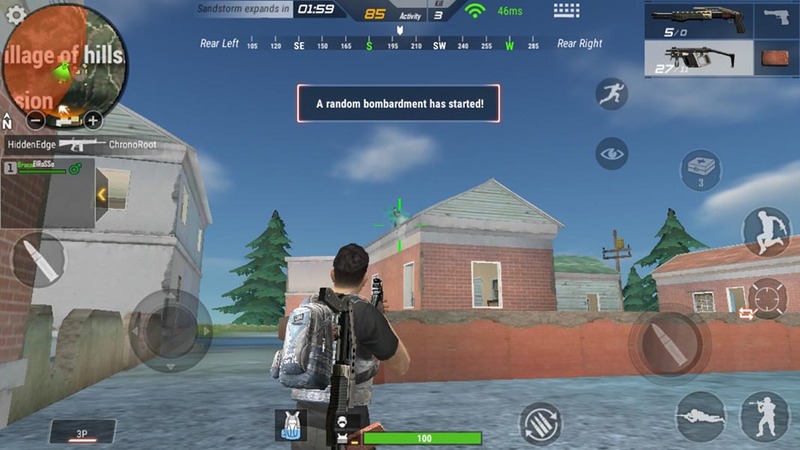 Like Sniper Mode, for example, where all the participants only have a sniper rifle, or a curious Parkour mode that’s based on reaching the goal before the rest by jumping over platforms and obstacles. It terms of the Battle Royale, you can play alone, in pairs, or in a team of four players. There are two settings: grasslands where 120 players can participate, and another desert map that’s limited to 60 players and reduces the duration of the competition. Obviously, the objective is to be the last survivor in the setting, making use of weaponry and vehicles you find, while trying to stay within the limits of the map that’s constantly getting smaller. Nothing fans of the genre haven’t already seen before. What stands out, aside from the game mode that we tried (but especially in Battle Royale mode), is the fluidity of the game, maintaining a stable 60fps at all times, even if it means sacrificing the resolution of the game. In other words, Crossfire: Legends works perfectly on any Android device with only 1GB of RAM and Android 4.0 or higher. Mutation mode: all players have to avoid being infected by the mutants, controlled by other players. If a soldier is infected, he’ll turn into a mutant. Hero mode: Like mutation mode, but one of the mutants has special abilities. Free for All: an open deathmatch mode where everyone controls mutants. On the other hand, as far as the single player mode goes, they’ve added a series of cooperative mini-campaigns where you have to defeat hordes of enemies and even gigantic bosses. Not to mention crater mode that requires you to take down successive waves of enemies. Just like any self-respecting F2P, the game’s progression depends on your persistence in accessing it. Regardless of the mode you play, you’ll earn experience that will let you climb ranks. In fact, the ranked matches are only available once you’ve reached level 6. The daily login and participation in events will help you unlock gear for your character, although a lot of them are only available temporarily. And that right there is the business model. Even though all the game modes can be played for free, the in-game store lets you purchase more powerful weapons to tip the scales in your favor. Since you have to ‘mine’ certain objects by completing daily matches, many users prefer to pay money in order to even out the playing field without having to invest too much time in the game. Thus, as we mentioned previously, Crossfire: Legends has become on of the top-earning F2P games in the world. That said, games don’t turn into mega hits just because of how they’re marketed. Without a doubt, Crossfire: Legends is a high-quality title with tons of content. And that’s exactly what players love about it.